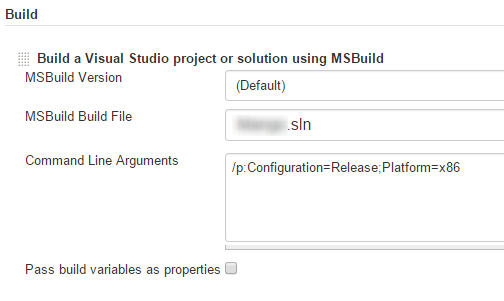 On my current project we’re using Jenkins as a CI platform and Visual Studio Online with TFS for source control. I’ve been wanting to setup the builds on our intranet again to run the integration tests relying on intranet access each check-in. I had an issue with this, as I did last time I tried it and figured I need to retain this information somewhere. If you are doing this with using Git you’ve come to the wrong place though, Microsoft has a great article about that themselves. The issue was finding the right URL to use, which is the base URL for your VSO project including DefaultCollection. I.e. https://fabrikam.visualstudio.com/DefaultCollection. You can find this if you look really, really closely at the change history of the plug in. Add and follow instructions, make sure you copy the password because once that’s lost its lost. That’s the idea behind a token. When it expires you’ll create a new one the same way. As mentioned above, you want to use your email and the token you created for authentication. As for the server URL, that should be your VSO DefaultCollection url and the source path you can find by selecting a folder under Code in VSO and getting the path that begins with $. 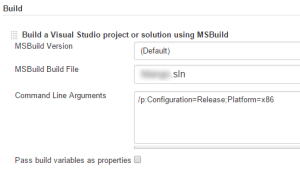 The node running this job has msbuild (visual studio) installed of course and I also had to manually append the msbuild bin folder to the system %PATH% variable in order for Jenkins to execute it. 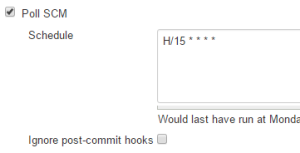 Since the path variable is defined when launching the jenkins client I had to restart that to get it working as well. In the end all is well and that’s “all” you have to do to get it working.. It does save a lot of time in the long run though.